Yup, I’m showing you yet another pair of Pigalles. And I’m not apologising. I could probably just re-name this feauture the Friday Pigalle Fix and be done with it, huh? 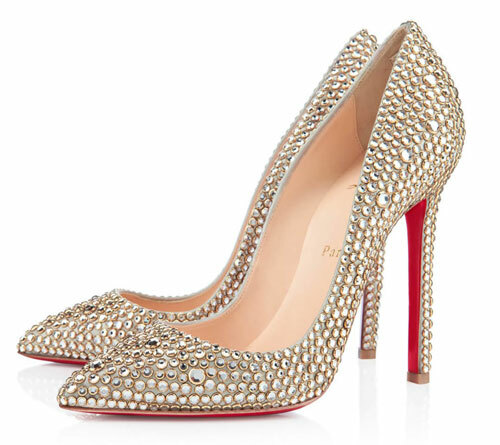 This is the strass version of Louboutin’s famous pump, which explains the painfully high price tag. It also explains why they’re so jaw-droppingly beautiful, though, and as they require no further introduction from me, I’m going to shut up now and just let you look at them. Sigh. The ultimate fantasy shoe. If only money were no object!! M Louboutin just gets it. So stunning.